I actually took this photo a month ago while roaming Morton County. 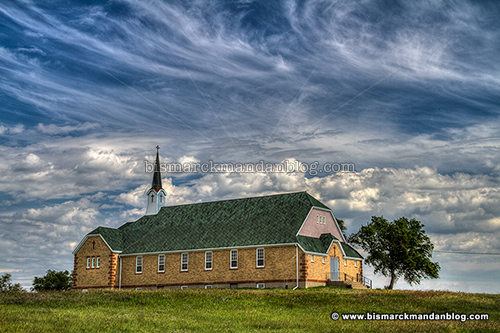 I was on my way back into town and found myself northwest of Mandan, so I decided to stop over and catch some shots of this church before bouncing down a section line. 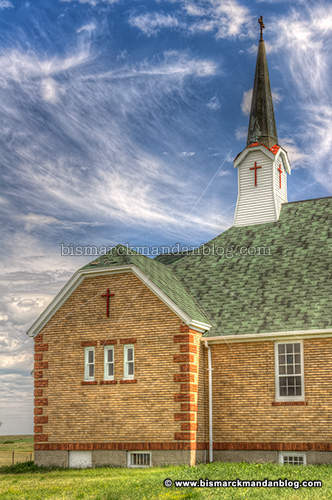 The clouds were pretty remarkable, giving an excellent background to this place of worship. I’d had a fruitful day with the camera, but when I had the combination of this church and this sky to play with, this was one of the most fun stops of my entire day! This entry was posted in Faith, Skies and Stars by Clint. Bookmark the permalink.